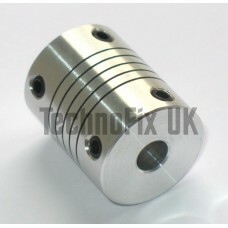 6.35mm ¼" metal flexible shaft coupler for variable capacitor ATU, VFO, linear etc. 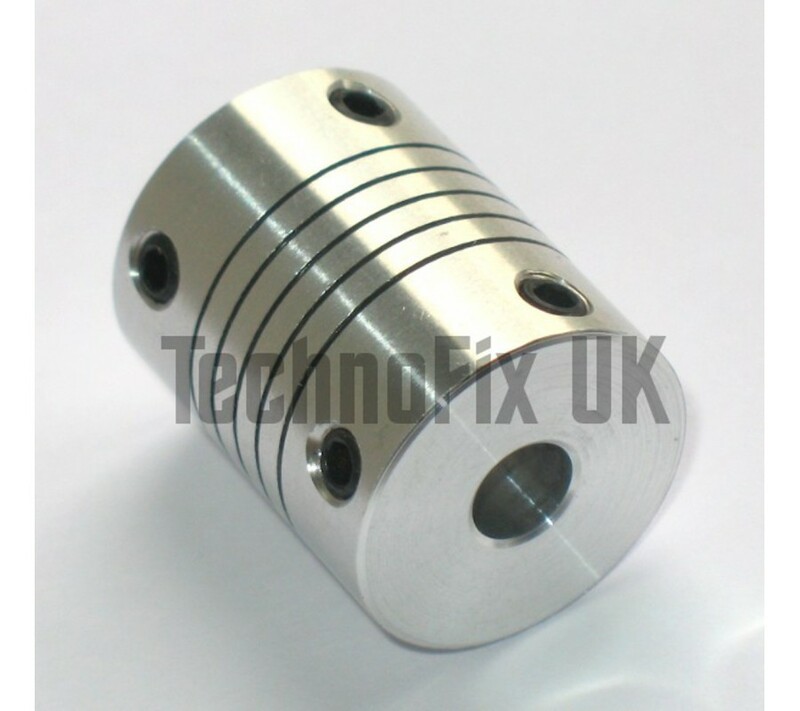 This heavy duty, precision machined aluminium flexible shaft coupler is ideal for new projects or replacing broken couplers in existing equipment. For use with variable capacitors, potentiometers, rotary encoders and switches, typically to join an extension shaft to the control. It allows for a small amount of mis-alignment, relieving strain on bearings and bushes. Each shaft is secured by two allen screws at right angles, for maximum security. 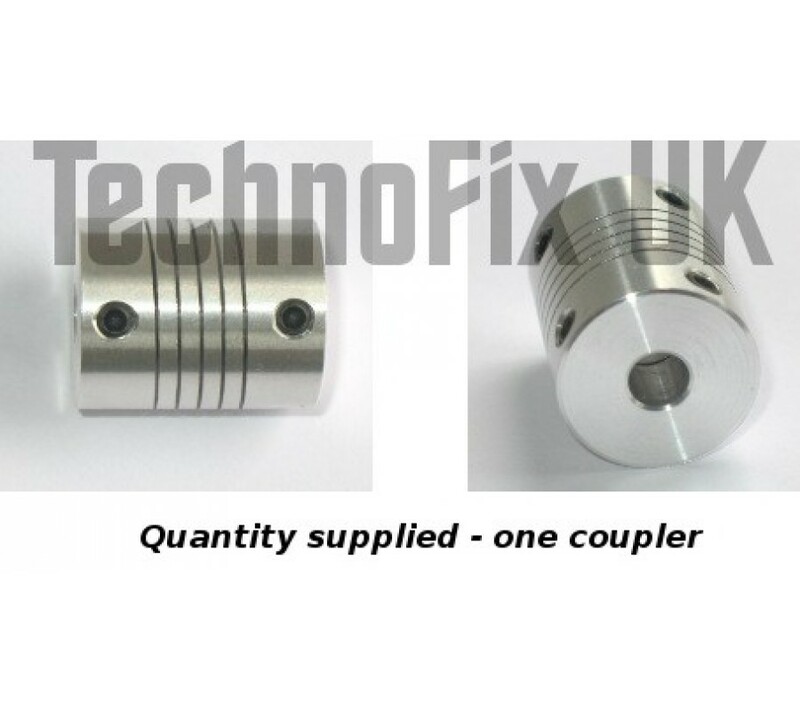 This coupler is for imperial 6.35mm (¼") shafts. Newer equipment may use metric 6mm shafts. Bear in mind this coupler is not insulating. A plastic extension shaft could be used to provide insulation if required.